How to keep your data on a small removable SSD with USB interface? The idea explored here is to separate your data physically from the computer that you are using them on. This has the following advantages: (1) you are quite safe from theft because you can keep carrying your data with you always, even when having to let your notebook at home or in a hotel because it is too heavy; (2) you can use your data on any computer (like a friend's computer when travelling, an Internet cafe computer etc. ); (3) you can hand over data items quickly and easily because every computer has a USB interface. You have to decide if the this idea is worth its benefits for you, as all solutions below are much slower and more expensive than a bigger standard SATA III SSD (as of 2014-06, about 100 EUR new incl. shipment for a 256 GB SSD, with data transfer rates up to 600 MB/s, though the continuous transfer rates have to the researched). ADATA Premier Pro 128 GB. Allows 95 MB/s read, 60 MB/s write, at least 30 MB/s continuous write as per UHC Speed Class 3. Possibly the only 128 GB SD card in that class so far. About 80 EUR. Kingston UHS-I 64 GB. Allows 90 MB/s read, 80 MB/s write. However continuous transfer speeds are lower, but at least meet UHS Speed Class 3 (30 MB/s continuous write speed). About 94 EUR. SD card in ExpressCard/34 card reader. For data exchange, all readers can expose a SD card as a USB mass storage device, so no drivers on the host system are needed. The additional advantage of using a SD card is that you can also use them for other purposes (recording photos and HD video etc.). For proper speed, we need the U3 speed class cards again, see above. A moderately priced one is the Hama CF 128 GB (up to 150 MB/s read, so maybe 40 MB/s continuous write?) for about 145 EUR. ExpressCard/34 form factor SSD, plus USB adapter. This is the best option in terms of speed. It can be connected to other computers using a USB to ExpressCard adapter (overview; also see DeLock 61714 etc.). ExpressCard allows cards to use an USB 2.0, USB 3.0 or PCIe mode, and not all these adapters also support PCIe (the Digigear PCU10 does however, but needs manual configuration for PCIe mode). So check first which mode is used by the ExpressCard SSD – anything above 60 MB/s means USB 3.0 or PCIe mode. For the connectors etc., see the ExpressCard standards document. Compact Flash card in 1.8" or 2.5" SATA drive bay. This is essentially using a Compact Flash card as a removable, rugged SSD. There are Compact Flash to SATA adapters for both 1.8" and 2.5" SATA SSD form factor (example: StarGat SAT2C). Also this solution will work only if your notebook can be modified in a way to allow drawing out the card from the HDD bay. And it's not really clear how the computer or operating system might react when extracting the Compact Flash card for example during ACPI Suspend mode. Also when using the system disk bay for this type of SSD, we cannot physically separate operating system and personal files as intended here. miniPCIe SSD in ExpressCard and SATA external enclosure. This is more a theoretical option since you do not want to handle a bare PCB with your data on it just to connect it to a computer that does not have an ExpressCard slot. But it would work, as there are converters for miniPCIe to ExpressCard and miniPCIe to SATA. How to set up a clean web hosting directory layout in Plesk 11.5? If you are using Plesk as a server control panel and took part in all updates starting with some Plesk 10 version, you will notice that your recent version (Plesk 11.5 currently) has a total mess with respect to the web hosting directory layout. That's because during some of these updates, Plesk migrated its hosting directory structure, and now the old and new ones are mixed. Plus, in /var/www/vhosts/system/ there will be a directory for each domain and subdomain, named with its domain name, and containing subdirectories conf/, logs/ and statistics/. One subscription per (sub)domain. We want a directory structure that is logical and consistent, so it's not acceptable to find directories for some but not all domains inside /var/www/vhosts/. The only solution I could come up with so far is creating a new subscription for every single domain and subdomain that you want to host. And then to name the document root directory for hosting the main domain of that subscription always htdocs rather than with the domain name. Problem: if you have a domain-restricted Plesk licence. With this method, you will run into problem depending on your Plesk licence. For example, if you have the typical "10 domains" licence. Because in this setup, every subdomain is created as its own Plesk domain record, so taking up one of the 10 available domains. While creating Plesk subdomain records for cases where their parent domain is also hosted in Plesk would not take up anything from your licence. But in my view: cleanliness first 🙂 And it's another reason to move to a recommendable, free and open source web hosting control panel. 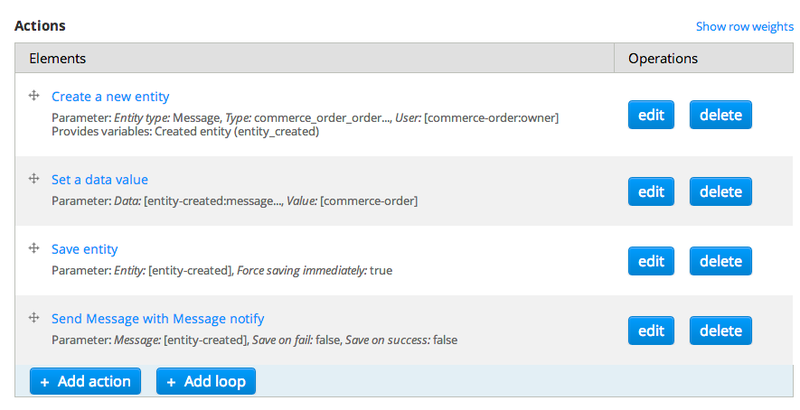 How to create @mentions with auto-suggest and notifications in Drupal 7? Usually, you can have mentions with e-mail notifications using the Drupal mentions module, or mentions with auto-suggest using the Drupal ckeditor_mentions module, but not both. But it turns out you can, indeed, by combining both modules (see also). Here are detailed instructions how to set thus up. Install and enable required modules: rules, mentions, ckeditor_mentions, message_notify. Configure the mentions module (in /admin/config/content/mentions) to use "Input: Prefix: @" and "Input: Suffix: " (nothing). This corresponds to how usernames are displayed after letting ckeditor_mentions insert a suggestion. Make sure your usernames are set up to not contain spaces, because the @username format does not allow usernames with spaces to be recognized. Enable permission "Bypass Rules access control" for your user's user group, or you will get a "Access violation! You have insufficient access permissions to edit this configuration." error when trying to create the "mention:entity of type …" Rule condition below. In the admin menu, go to "Structure -> Message types" (/admin/structure/messages) and create a new message type. It is simplest to clone it from one that is meant for use in e-mails already, such as any Commons Notify message type (if you are a Drupal Commons user). [message:user:name] Username of the user to whom the message is sent. [mention:author:name] Username of the user who created the mention. Specify the rule's trigger to be: "React on event: After a new mention is created". Add a condition specifying "mention:entity is of type: Node". The four actions in your rule should now look similar to this screenshot. Create a new Rule messgae_on_mention_in_comment, in analogy to the above but with the condition using entity type "comment". Follow steps 1-3 from the above list. How to redirect traffic from a server to another? Your old server has to be a Linux / Unix based server, so that rinetd can be installed. Stop your webserver. So, do something like service apache2 stop. rinetd can only work successfully if nothing else is connected to the ports it shoud bind to. If there is something else listening, it will result in no redirections and a huge rinetd log file containing messages like 22/Mar/2013:19:35:47 0.0.0.0 0 (null) 0 0 0 accept-failed – [source]. Start rinetd. That's simply service rinetd restart. Test it. If your websites still work, they are now served by the new server, since you disabled the webserver on the old one. Change your DNS records. To make everyones requests switch to the new server, point your sites DNS records to the new server. Using iptables. It also is about redirecting traffic at NAT / TCP level. However, this it is more difficult to understand and to configure, since it is meant as a full-featured software firewall. Put your site in maintenance mode for a short time. Move your site and its database over to the new server. Test your site on the new server by bending DNS at your own machine (edit /etc/hosts if you are on Linux). Edit your site configuration on your old server to use the remote databases on the new one. Optionally (if your site has user-generated files), set up an rsync / scp / ftp synchronization job to push or pull new and updated files to the new server, called by a cron job every 15 minutes or so. Disable maintenance mode again and test if the site on the old server still works (remember to disable DNS bending again!). Adapt your DNS configuration to point to the new server. After 48 hours at latest, nobody will access the old server any more. We needed a fast, dedicated server to solve optimization problems. So let’s install COIN-OR CBC (the MLP optimization solver we use). We start from a stock Ubuntu 13.10 machine, as it will happen to you when deploying on Amazon EC2 Spot Instances, like we do. The easiest way to get COIN-OR OS and CBC installed on a common Linux platform is to install the “full release” binary packages, which contain the binaries from all major COIN-OR projects. Just download the latest COIN-OR-*.tgz package from the CoinAll repo, unpack it, and link the files in its bin/ subdirectory into your path with something like ln -s bin/* /usr/local/bin/. The most important reason is that COIN-OR cannot distribute GPL-licenced source or binaries with its code. It includes download scripts for these however. So to get goodies like ASL (the AMPL input format library we desperately need for CBC here), GMPL, command completion, command history, Haskell libraries etc. one has to install from source. We can optimize COIN-OR to our needs with the many compilation options of COIN-OR. For example, enabling multi-threading for the CBC solver, or optimizatios for specific CPUs / hardware. Bug fixes can be incorporated immediately instead of waiting for a new COIN-OR release. Install some needed developer tools. Note that csh is needed for DyLP/doc/build_dylpdoc, which is called in make distclean for example. Download the latest stable version. This probably will get you the latest maintenance release, so probably currently 1.7.4 as seen in the CoinAll list of binaries. Add the MUMPS public domain linear solver. If present, it will be used in the compilation of Ipopt. If not present, Ipopt will be compiled without solvers, which will cause make test fail for Ipopt with a message like “selected linear solver ma27 not available” [source]. Add Glpk. This is needed by CBC in order to read GMPL input – that’s exactly what we need, since it is the only way to use an algebraic modeling language for comfortable, high-level input to CBC. GMPL (also called MathProg) is actually a subset of the widespread AMPL [source], so many models in AMPL should also be expressable with it. Configure it all. In the configure command below, the LDFLAGS=-Wl,--no-as-needed; is to solve problems caused probably by some library symbols now being versioned in current versions of Ubuntu. These problems show up with error messages saying “undefined reference to dlopen, dlclose, dlerror, dlsym”. The LDFLAGS setting is a solution from the ipopt mailing list, and while it works for me I don’t quite understand it. It is only needed for ./configure in the sub-projects OS, DyLP and IPopt. But it does not hurt to apply it globally, so for simplicity we do just that. Also, we configure CBC to support parallel execution. This is done by adding the --enable-cbc-parallel compile-time option [source]. Again, it does not hurt to add it to the global ./configure, it will only affect CBC (and should result in a line “Cbc multithreading enabled” in build/Cbc/configure.log). Adapt the tests for a headless server. Some tests will fail without an X Server. We run this on a headless server, so we have to modify the tests (or use Xvfb, but that is a hack as well …). In ~/CoinAll-1.7/GiMPy/test/test_algorithms.py, remove line produce_graphs() (actually the very last one). Solve a similar problem with ~/CoinAll-1.7/GrUMPy/test/test_bb.py. TODO There may be more issues like this. I did not finish trying to get all tests to run. Create a directory for the installation. Create a Debian package and install it. Installing is included in the following command if all works well. In total, it can take a while, 20 minutes even, depending on your machine. I named mine coinor-coinall. cd /usr/local/bin && sudo ln -s ../share/coin-or/bin/* .